What is man? Is man a dream in the eye of his creator? It would seem so, by the Christian worldview. What is man for? How can man find fulfillment in life? Human kind, one by one may find ultimate fulfillment in relationship. I have learned slowly but surely, that I am a being made for community and relationship. First and foremost I am made for deep connection and relationship to God the creator. Yet I am also made for relationship with a female whom I will one day call wife. In addition, I am made for relationship with other believers. And also with my own children (someday), and extended family. And at the fringe, I am made for relationship with all people, with animals, and the natural environment around me. Every human is born with the most important relationship broken. The relationship with God is not present upon birth. 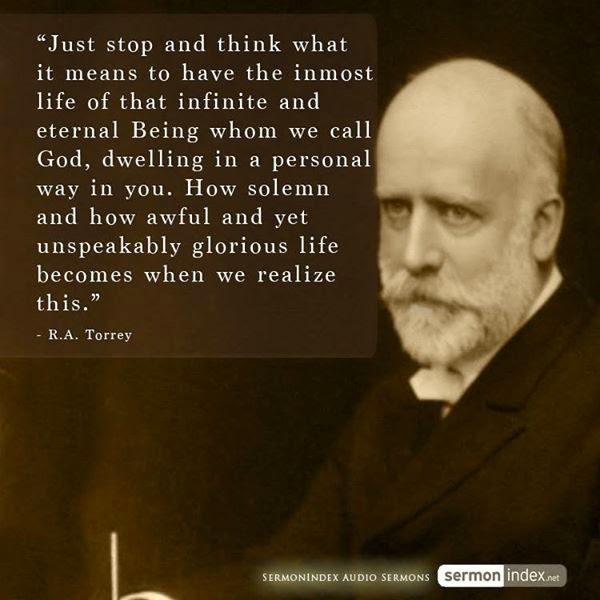 In fact God is not immediately approachable. One must approach God through Christ. Outside of Christ, no approach to God can be made. Upon the reception of Jesus Christ, the way is open to approach God. The Holy Spirit distributes a connective force between God and the believer, through the imputed righteousness of Christ. Very literally, the believer and follower of Jesus Christ wears the perfection of his life, death, and resurrection as a garment of borrowed holiness. Meanwhile the Holy Spirit works on the heart and mind of the believer, gently and sometimes firmly the believer is molded into the likeness of Christ, in personality. This does not mean that every believer is forced into a carbon copy of Jesus Christ, but that every believer is molded with deep attention to their uniqueness and passions toward a perfection of character. The believer is molded into who they truly are underneath all the sin, darkness, pain, and confusion caused by this world. In example, a believer may be womanizer, a fan of music, prideful, deceitful, inquisitive, a talented painter, and proficient at science. The Holy Spirit would not transform this person into a Jewish carpenter with healing powers and oratory skills. Instead the Holy Spirit might turn the pridefulness into humility. The talent for womanizing would be crafted into a talent for meeting the needs of his wife and family. The love for music would not be snuffed out but developed and shaped into perhaps a study of an instrument, or a more profound and complex appreciation for the listening experience. The Holy Spirit might craft the deceitfulness into a cunning zeal for the works of righteousness or serving the poor. The Holy Spirit might also develop the artistic talents of the individual inspiring them and leading them to produce great works of art. Given the love for science, the individual might be lead by the Spirit into an organization like NASA or the Human Genome project where those skills could be pushed to the max, and stressed to produce still higher levels of scientific skill and creativity. The believer does not consign to being forced into the mold of a Galilean peasant, but instead the Holy Spirit maximizes the talents, and transforms and adapts the ugly traits into useful skills. This process is never completed in life. We seem to have to learn the same lessons over and over in life. Thus, when I am in community with others, I am often hurt and I often hurt others. That is the difficult part of being a being made for community and relationship. Relationships are often painful. Of course they are often wonderful and blessed. I find myself sometimes in daily life slumping back in my chair, realizing that I am finding whatever I happen to be doing at the time wildly unfulfilling. A sort of angst flashes over my being, jumps about neocortex. I feel the pain of it. I feel my own despair and apprehension. My own fear of the unknown. I am made for relationship to God, above all else. If Jesus Christ connects God and myself, which I believe he does, then the Holy Spirit provides the conduit between us. A prime ingredient that passes within those conduits must then be love. The Bible says that God is love. Love, healing, light, truth. Conviction, and the romancing of my soul. I do go off in my own directions sometimes. And at times I am fearful to come before the architect of reality. Given the implications, the logical outworking of my beliefs, it is progressively more and more stunning to realize just who I'm coming before. Indeed if I were to fully realize just who I'm coming before, I would probably find myself frozen with awe, terror, and unspeakable love. I did not recognize the beauty of the cross when I first called upon Jesus Christ in the midst of my disaster. I didn't understand it. It's only now that I've begun to fully recognize the beauty of the cross. In Mere Christianity by C.S. Lewis we see that God of himself could not identify with or reach out to man in his present state. God had to become a man, Christ Jesus, and live the life in the flesh day by day, just as we do, and thus he could then step one foot into the water, one foot on shore, and toss a rescue to us. He tossed the life preserver, the gift of restored relationship. He offers an emergency transport to return us to right relationship. Man has often wondered how to find unity in diversity. One way mankind has attempted to find unity in diversity is by attempting to unify all the worlds religions along a single line of "love." Since we have so often been told that wars are caused by religion, one might attempt to synchronize all the worlds religions into a system that recognizes similarities for a sort of "coexistence" as the bumper stickers say. But as Dr. Zacharias has often written, all religions are not the same. All religions are not fundamentally the same. All religions are at best superficially similar, while remaining fundamentally different. I've found that to be quite true when studying Hinduism, Buddhism, and other world religions. These religions are quite different. And while synchronizing world religions fails as a solution, in addition, the problem is not even properly understood. Religion has never been the penultimate problem for humanity. Selfishness and corruption are the penultimate problems. The wicked heart of man is the problem. The great wars across the ages have not been linked to religion. Instead the great wars across the ages have always been linked to the selfish desires of the few for power, money, and control of the many. The problem is the evil heart of man, and the outworking of that fact. The fact is obvious when examining the world wars in the past 100 years. The desire for power and wealth have devestated the Earth. Religion is not the problem, and one cannot synchronize world religions that fundamentally contradict one another. So how can man kind meet the deep seeded desire for unity in diversity? Humanity must first admit the problem: That the problem is not outside me somewhere, the problem is within my own heart. Then Humanity can ask: What is the solution to the problem of my own heart? The solution is Jesus Christ, through whom a person is set in right relationship to God the creator. With relationship to God at the #1 position of importance, we find that every other area of relationship is progressively set right. Within the personality of our loving creator is a unity in diversity. God the Father, God the Son, and God the Holy Spirit. Indeed within you is a unity in diversity! What do I mean? Within your body is the DNA of your mother, the DNA of your father, and within your own experience and life choices is an amalgam of personality and identity, uniquely yours! Consider even further, how your DNA is connected to the DNA of all your extended family members, down along the ages, all the way back to the very first humans, and indeed to God the creator himself. Wondrous, truly wondrous! You friend, are the embodiment of the paradox of unity in diversity, and relationship of life within life inherent in the God-head of our blessed Lord. Did the new atheists tell you that you are nothing? A whisp on the air? A determined automaton destined for nothingness and meaning nothing? Is that an adequate trade off for sexual freedom? In my view, not in the least. Since you in fact are a representation of unity in diversity genetically, what then is the ultimate community unity in diversity? I see the perfection of unity in diversity as the community of Christ-followers told in the Bible to be the "body of Christ" on Earth. 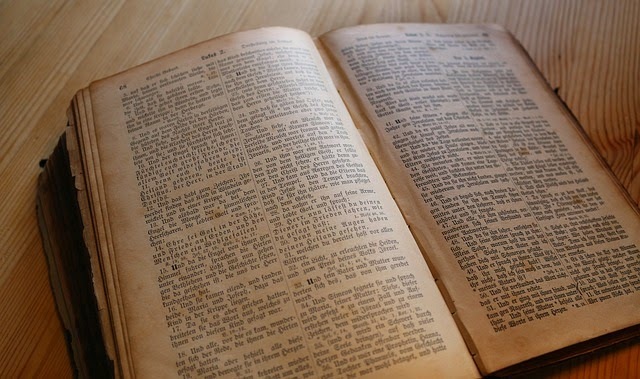 Every believer has unique skills, shepherding, preaching, showing mercy, caring for the poor, exhortation, creativity, writing, and on and on it goes. The body of Christ on Earth, made up of over 1 billion Christians on Earth, imperfect, deeply flawed, yet moving in unison as the hands and feet of Jesus Christ who is the head of it all. In the politics of the United States we see how liberal and conservative war over how to best deal with the problems of evil and corruption. One side distrusts the individual and the other distrusts the group. One side sees the problem in big business and the other sees the problem in big government. Indeed at times both have been problematic. But the problem does not begin outside ourselves, it begins within ourselves. Many of my fellow libertarians see the problem as getting people educated. But that is not the solution. As they say, if you sober up a horse thief, all you get is a sober horse thief, who can now steal horses without getting caught. If you send a drug addict to prison he comes out a trained drug dealer. If you send a bank robber to college, he comes out a professional trained to steal money on a Wallstreet level. If you send a young man to Princeton, Harvard, or Yale for business, they are told all truth is relative, truth is what you make it, and when they enter the business world and are told there are certain rules to abide by, what do they do? They assume the truth is what you make it, they run a scam, steal some money, and pretty soon the economies of Europe and the United States are tanking. The problem is not education. The problem is the human heart. 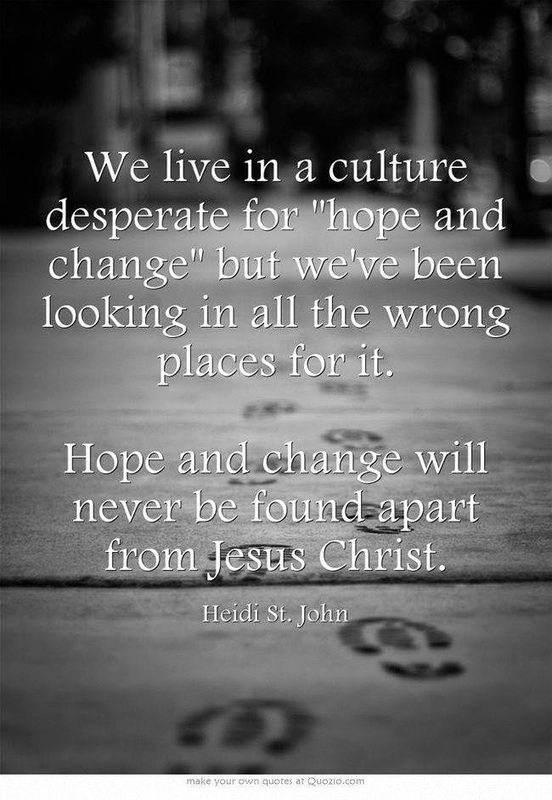 The solution to that problem is the transformation found through Jesus Christ. One can smirk at the problems of organized Christian groups who so often make fools of themselves, but do the failures of others get me off the hook? If I rail about the failings of organized religion, does that give me a free ticket to a life of depravity and selfishness? Of course not. Let me just say, that if you've noticed that Christians do not live up to the likeness of Christ, and oh, everyone has made that assessment from time to time. Well, perhaps instead of sitting back and judging, perhaps you should step up, get close with Jesus Christ, and show them how it's done right! Don't do it wrong because they're doing it wrong! Do it right, and set the example for those around you! We all have free will. And no joke, Christianity as practiced has many problems. But it has always had many problems. All the way back to the book of Acts, and the letters of the New Testament. Paul describes serious issues in virtually all of his letters to the first churches (Romans, Ephesians, Philippians, Colossians, etc). Even from the very outset, there were serious problems. Indeed Jesus himself taught that such issues are to be expected. In the parable of the weeds (a.k.a. the parable of the wheat and tares) Jesus teaches that the kingdom of God is like a field of wheat in which an enemy came and sowed weeds in the garden. Instead of pulling up the weeds, the owner of the garden allows the wheat and weeds to grow up together, and will separate them at the harvest. 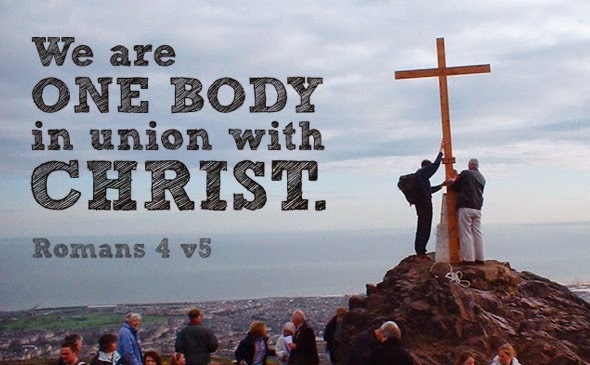 This is a representation of the body of Christ. The wheat are the true followers of Christ and the weeds are those who claim to be Christian (over 80% of Americans claim to be Christian) but aren't really followers of Jesus at all (Matthew 13:24-43). Despite all the weeds, even the true followers of Jesus will make many mistakes as well. The Christian message is not that once you receive Jesus you suddenly never make another mistake. We aren't instantly made perfect. But we do consign ourselves to live on a spiritual basis for the rest of our lives, and cooperate with the Holy Spirit in the works of something Christians call "sanctification." As the writer of Hebrews eloquently put it: "For by one sacrifice he has made perfect forever those who are being made holy" (Hebrews 10:14). At the beginning I had a tendency to view God as a cruel task master! Do this, do that! Be better! But in retrospect I now realize the process of sanctification is a profound gift. The end result is me, Justin, becoming more and more myself. I hadn't even realized how much damage sin had done. The process of sanctification is difficult, but so very rewarding. The reward is in a growing love for God, gratitude for what I have, and a legitimate interest in the affairs of others. In other words, the destruction of selfishness. Within that process is the growing reliance upon community and relationship. It all begins with God, and out-flowing from that connection is my individuality respected, yet placed within a context of divine fellowship with a growing body of broken sinners made perfect in Jesus Christ. In conclusion, we are people made for community. God made us for community with him and with others. He made us to enjoy love and fellowship. Though man sinned and fell from God, he has offered grace and justification through Jesus Christ. 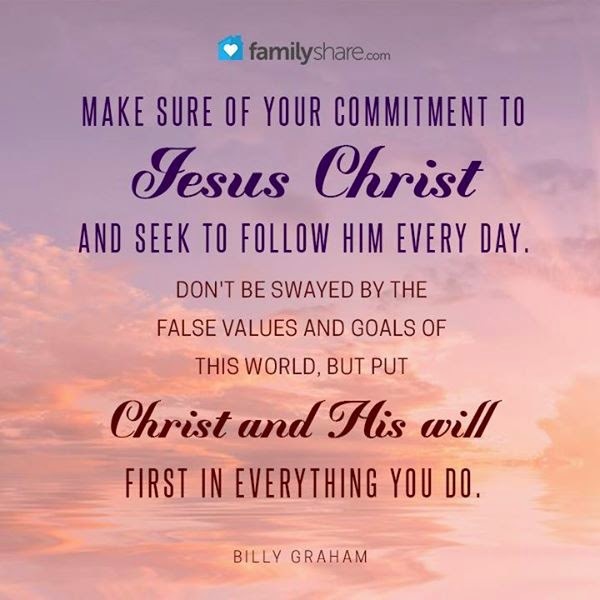 All one must do is believe in the lord Jesus Christ, living in relationship to him, and his or her place is set in the next phase of existence ahead. 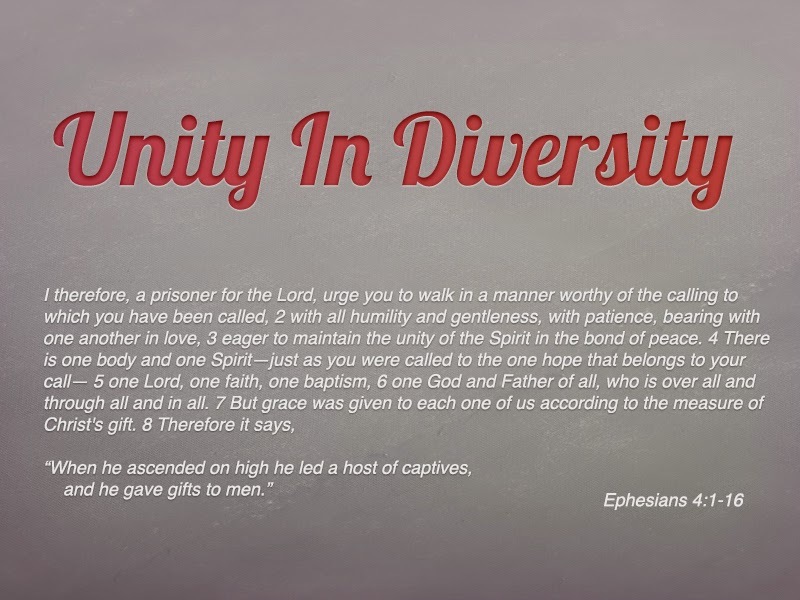 The ultimate expression of unity in diversity, the great quest of the colleges is found within God, in connection to his family of believers. This unity can not be synchronized to include all beliefs and views on the Earth. The problem remains within the heart of every person, no matter what they believe! There is a choice to be made, to either enter that magnificent unity in diversity or to remain excluded from it forever. When traced back to it's source, one can see that the problem is within us. That is not an easy answer, but it's the real one. It's not society, or conditions, of societal conditions or religion or war or Osama Bin Laden or George Bush or even Hitler. The problem is me. If I want to continue on in my selfishness, of course that's my choice, to reject God, to keep adding to the problem. But I then willfully exclude myself from the magnificent unity in diversity. Of course there is a price to be paid for that unity of community. The price is death of my own infinite selfishness. That death can only be achieved through Christ Jesus the all sufficient savior, the transformer of the human soul. The problem is me, the solution is Jesus Christ, and I choose today to enter into that rest, the unity of believers under the Creator, as we wait for the final perfecting of our souls for the ultimate reality, in the next life, of the perfection of unity in diversity found in relationship, community with God and people. Amen. Merry Christmas! Yes, I said it! Merry Christmas! 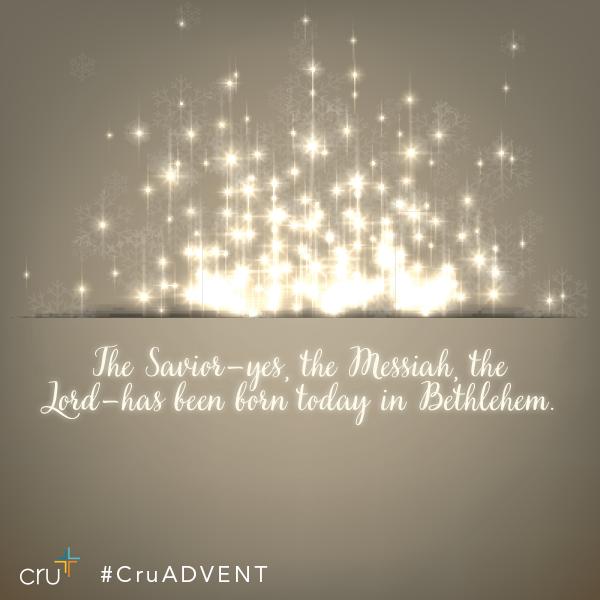 This is the time of the year when we remember the birth of Jesus Christ. Was he really born on December 25th? Probably not! And oh does the controversy begin to rumble in the backdrop. Some Christians say we shouldn't celebrate Christmas at all because it's rooted in pagan rituals. Other Christians don't like Santa and think it means "Satan" in another guise. Still others simply see it as a time of family and gratitude for the birth of the savior. Others see the December 25th date as the beginning of a spiritual birth that cusps on Easter in the resurrection, all in relation to sacraments and the Eucharist. It's certainly very confusing. At the same time outside the church a "war on Christmas" is being waged by a culture hostile to Christian values. Recently Kirk Cameron's "Saving Christmas" came out in theaters. It was later trending on the internet worldwide as the lowest rated film in the history of the movie database IMDB. It became a giant controversy, and another in road by which Christians we made to look like simple minded conservative fools. In my neck of the woods, out here in central Wisconsin everyone still says "Merry Christmas." But in bigger cities, and other parts of the country one may only say "happy holidays." I myself find it confusing. How am I to think of the Christmas season? I was raised Catholic and it was a time in the church of nativities and the repeated literal birth of Christ, every year. Very confusing for a kid my age. Why is Jesus born over and over again every year? In a more practical sense, Jesus never came up at family events. There was a tree with lights and ornaments. There was food. There were wrapped up presents under the tree. And there was Santa in the red suit with reindeer and more presents. If anyone ever even mentioned Jesus, it was grandma or grandpa, and all the aunts and uncles would just get a little quiet and awkward for a second. Then the conversation would pick back up, and that was it. No further mention of Jesus. So now, myself, as a dedicated Protestant Christian.. how do I go about celebrating a Christmas that honors the birth of Jesus Christ? Is that something I even need to do? There isn't anything in the Bible about a Christmas season, or celebrating the birth of Christ. Yet in the Old Testament God did encourage Israel to set up yearly "holidays" of a sort to remember his provision in times of need. A prominent example would be the festival of booths (Leviticus Chapter 23 - Commentary). In the New Testament believers in Jesus Christ are encouraged to fellowship together regularly to celebrate the savior (Acts 2:42-47). So perhaps it's not such a terrible idea to have a season when we remember the provision of God to the malady of sin. We all remember Isaiah 9:6 (ESV) For to us a child is born, to us a son is given; and the government shall be upon his shoulder, and his name shall be called Wonderful Counselor, Mighty God, Everlasting Father, Prince of Peace. This was a prophecy found in the Old Testament regarding the coming of Jesus Christ. The coming of Christ changed everything. Before Christ, man kind had no way of getting right with God. 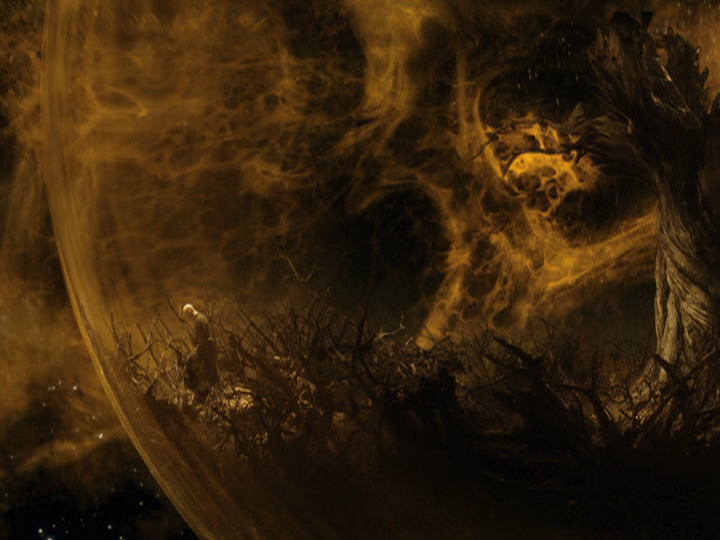 There was no forgiveness for sins, there was no new birth, and the world was in trouble. But through grace, unmerited favor, God comes in person to deal with sin, heal the sick, and speak the truth. That's what Christmas is about. It's about God coming. It's about God saving. It's about the birth of hope. So why not celebrate Christmas? Many cite the pagan rituals that have crept into the practice of Christmas. The Christmas tree, the giving of gifts, and the mistletoe among many other traditions do have roots in paganism. If we go back to 4th century ancient Rome, we see a Christianity struggling to evangelize a pagan society. One of the key ways those early missionaries evangelized the pagans was by taking pagan rituals and infusing them with Christian meaning. Those missionaries matched pagan holidays with new Christian holidays to help the pagans make smooth transitions into Christianity. There is nothing wrong with that. It's a somewhat drastic method of missionary work where you help new believers to remain in their cultural context while allowing the gospel of our Lord Jesus Christ to transform the cultural practices. This allows people to remain in their "people groups" making "people movements" toward Jesus a much more likely possibility. And what do we see as a result? The ancient Christians succeeded, and the church grew by leaps and bounds. Many would say that the Christmas season has become consumeristic and materialistic. Granted. It certainly has become something it was never intended to be. But that's how stores make money. All kinds of additions are made to existing holidays to encourage people to purchase things in regard to those holidays. We as Christians don't have to participate however. Why does Christmas involve giving gifts to one another? Is that a bad thing? Certainly not. We give gifts to one another to remind ourselves of the ultimate gift God gave us in Christ Jesus. Salvation and the forgiveness of sins, adoption into the family of God. Jesus Christ changed my life completely. And he has given me a ministry. I've nearly finished my bachelors of science in Religion at Liberty University. In addition, I'm meeting with recruiters from a Salvation Army officer's training facility. I'm seriously considering becoming an officer in the Salvation Army, a pastor. I have a lot to be grateful for! I started A Lifestyle Change for Peace Blog nearly two years to write about my journey in recovery and my walk with Jesus. Since then, the blog has been viewed over 35,000 times in hundreds of countries. Amazing, and humbling that Jesus would be so kind as to save someone as doomed as I was, and grant him a ministry to help others. It's all about Jesus. Always. Again and again in poetry and writing I asked the questions "Where do we go from here?" and "What is the truth?" "What is the meaning of life?" And in the book of John I received my answers. When I asked where do I go? Jesus said, "I am the way." When I asked what is the truth? He said "I am the truth." And when I asked "What is the meaning of life?" He replied "I am the life." In John 14:6 Jesus said I am the way the truth and the life, no one comes to the Father except through me. All of my endless questioning, my disaster, was finally answered by the words of Jesus, and his powerful presence at the outset of hope in my life. Praise be to Jesus, my very real savior. Jesus Christ was born one day, two thousand years ago. Born of a virgin, humbly in a manger. The world had no place for him, yet he was God himself. The motel was full, so he was born in the barn. This world does not recognize the savior. But we recognize the savior, maybe, because we're just a little different. 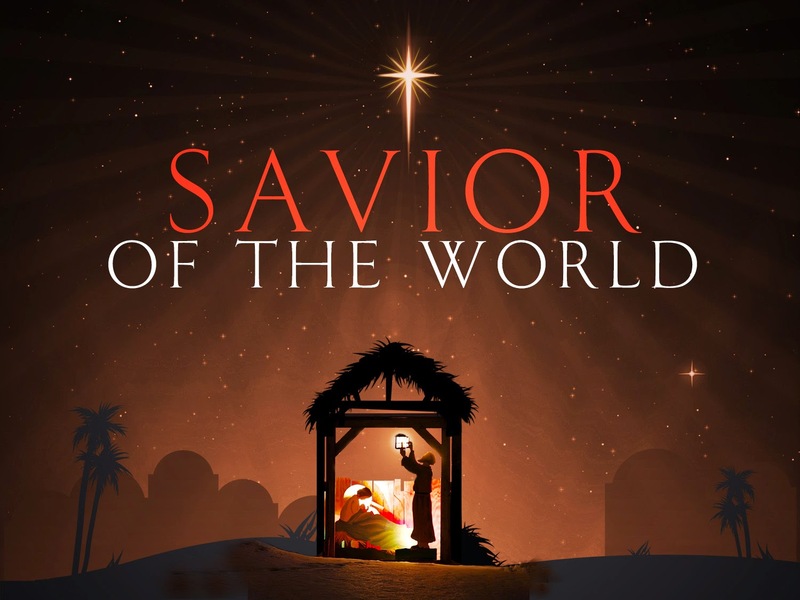 Jesus was not born in a palace, amongst the wealth of this world. He wasn't built in a mansion. And those who live in mansions often cannot see him, despite him being everything. But those like you and I, accept the savior, despite the poor condition within us, and he lives within us, and his Holy Spirit works on us and through us. Let's remember during this season, this time of year, and Jesus Christ was born in humility, and came to save those who are the most marginalized and lost in this world. Praise be to the Lord Jesus Christ, our blessed redeemer.